Slack is a popular service for workplace communication. Small Improvements integrates seamlessly with Slack, so you can see relevant performance feedback and Praise right within your everyday communication channels. Why use Slack with Small Improvements? Small Improvements is a perfect system to capture objectives or send Praise to coworkers for a job well done. The challenge for HR teams is getting employees to use frequently tools like Small Improvements once the official Performance Review time has passed. It's tricky on the desktop, and even harder on mobile. However, with office communication tools like Slack or HipChat (mobile or desktop), it's a lot easier to reach those employees, both to notify them of events and enable them to engage in new feedback/objective creation. Enter our new integration. In order to enable the integration, an admin needs to navigate to the Administration tab > Scroll to the bottom of the screen > And click into the Slack button, then press the Add To Slack button. You will then be taken to Slack's website where you can approve the Small Improvements integration. Provided all went fine, you'll then get taken back to the SI admin screen. It will confirm that the connection is properly set up. You can, of course, designate that events get sent to the same channel but if you prefer, you can send messages to separate channels. This way your Slack users can subscribe to one but not the other. You may also decide to disable public notifications entirely (private notifications will continue to get sent). When you enable the integration, the /praise command is added to your Slack account and everyone in your Slack team can begin using it right away. You will be able to use the command to praise someone publicly in Small Improvements without logging in directly. 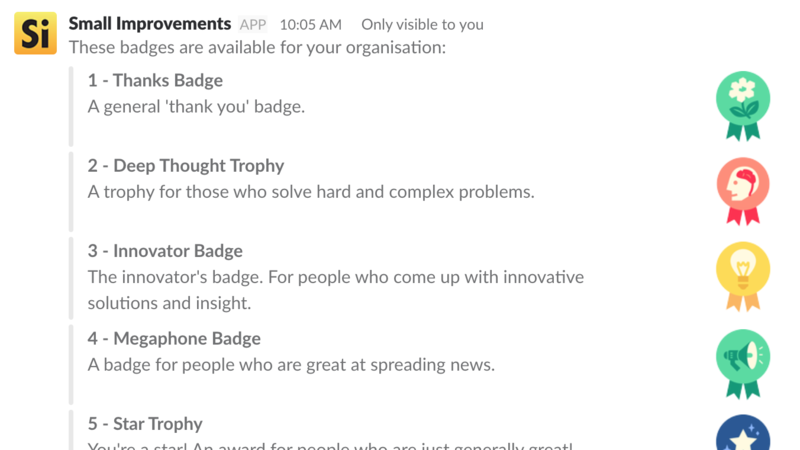 We now offer use of Badges in Slack! Each badge has a unique id that can be used to identify the badge and add to your praise. Alternatively, you can use a keyword from the badge name to select. If you do not know your preferred badge’s badge id or keyword, simply type '/praise badges' to get a list of your company’s badges. For example, if the badge you want is called "The hero next door", both "hero" and "next door" would get you there. 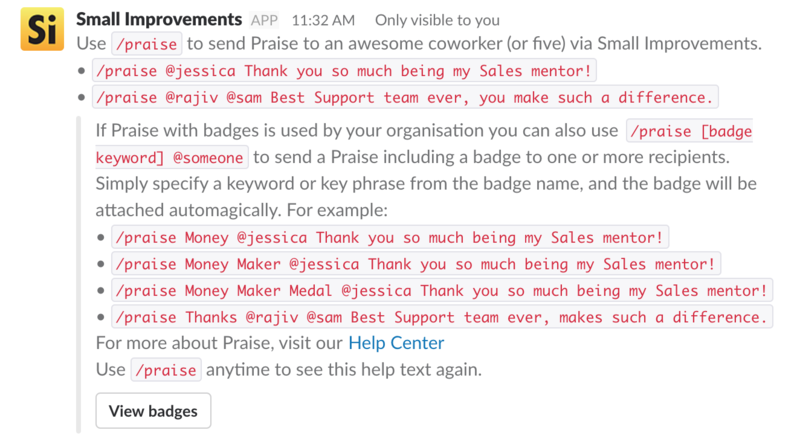 So in Slack, simply write /praise followed by this badge id or keyword , a recipient, and your praise message. 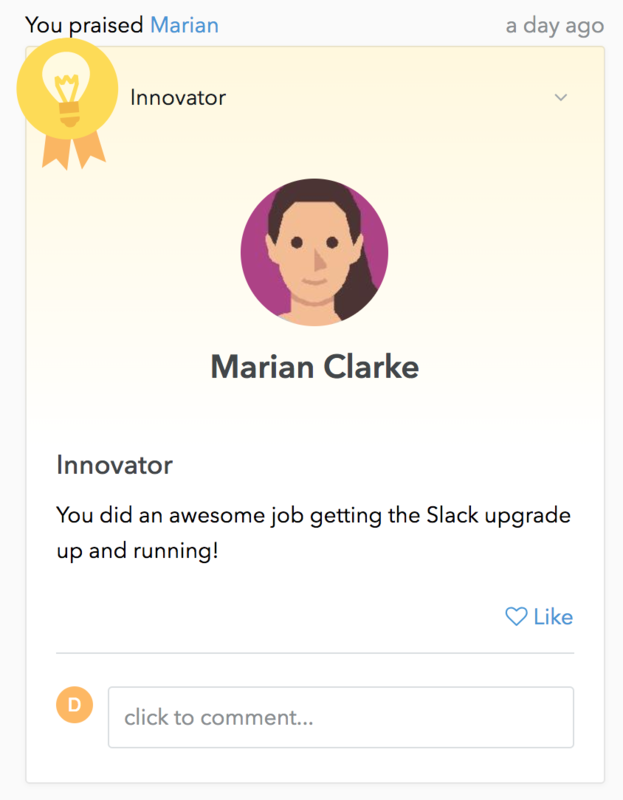 In the below example, notice the 'innovator' after the /praise function that will add the innovator badge. When you praise someone in Slack, this is always displayed publicly in Small Improvements. If employees want to reply to that public praise, then they have a link in the Slack notification that takes them into SI to post their reply. This lightweight recognition driven from Slack is also is tied to the recipient's user profile in Small Improvements, as long as they are an active user. As all feedback captured on a user's profile can be relied on when it is time to participate in a structured Performance review and/or Peer feedback cycle. Maybe you are a manager and want to write a Private Note about an individual (for example in preparation for a one-to-one meeting or an aspect that you want to mention at review time, or remind yourself about some feedback for a co-worker). Good news: the /note command also allows you to do this directly from Slack! Similar to /praise, in order to write a private note about someone in Small Improvements, simply write " /note" in Slack, add the user and the content of the note (instructions will again appear on-screen). Once you enable the integration and designate a channel, your Slack users will receive instant notifications for all public SI messages (and objectives, more in a a moment) in that channel. They'll also receive private notifications for any SI messages and objectives they were mentioned in. 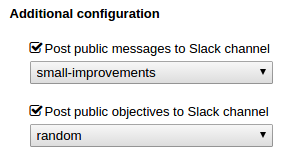 As mentioned above, if public objectives are created within Small Improvements, you have the option to have notifications appear in your dedicated Slack channel. Though a good way to keep up awareness of colleague goal setting, it is entirely possible to just use the messages piece when working with Slack. One useful bit of functionality for your leaders - managers will even receive notifications when their direct reports change or create new objectives! This ensures they stay up to date on their reports goal progress. Objective slack notifications are delayed by 5 minutes so that edits/changes within those 5 minutes will not spam the manager and direct report. For example, if a direct report creates an objective and then edits the objective (change title, description, add/remove key results, change due date/ category) within 5 minutes, the manager / direct report will only be notified about the creation of that objective. The same is true in the case of notifying a direct report. A recently released improvement. 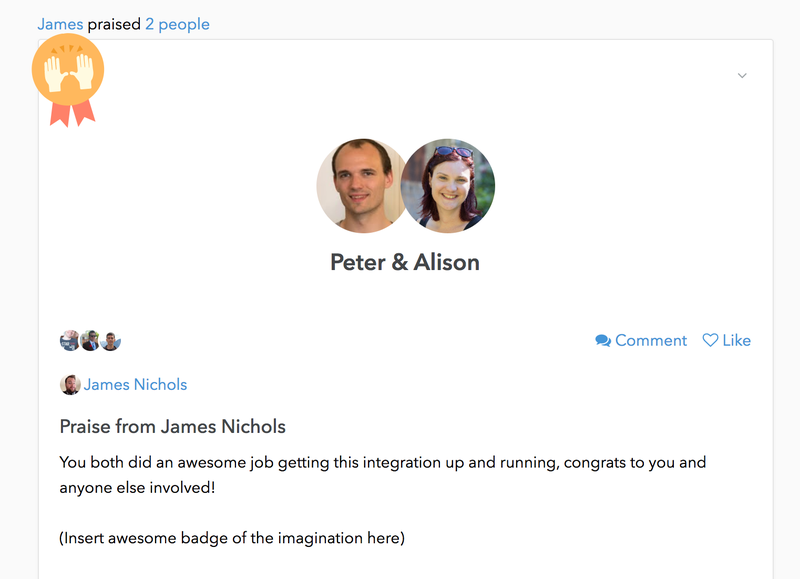 We've updated the notifications ability to include when peer feedback is released. Depending on who it is released to of course, this applies to all types of 360 cycles. If there is no timeline milestone to designate a release date, a notification will appear for the reviewee (or manager, if the reviewee is restricted from seeing the feedback) whenever the reviewer elects to share.